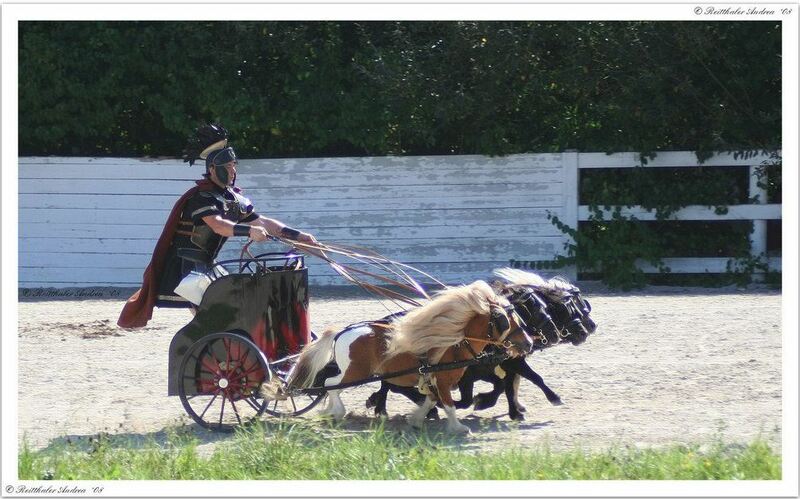 Tinker may be miniature — as in a miniature horse — but he’s a big money raiser for the Salvation Army. He uses his mouth to hold and ring a red bell and also picks up with his mouth a “Thank You Merry Christmas” sign. He can also bow and give kisses. Major Roger Ross, a Salvation Army commander, said Tinker is one of their biggest money raisers in the area: He brings in 10 times the amount of a regular bell ringer. The 13-year-old horse, who’s brown, black, grey and white, has been ringing for four seasons. “I actually save up all my donation and give it to Tinker because I have such a soft place in my heart for him,” said Karen Hammen, who gave money while Tinker stood outside a West Bend, Wisconsin craft show on a recent Saturday morning. One of Tinker’s owners, Carol Takacs, said she and her husband got Tinker 12 years ago. She said she went to look at a property, fell in love with the miniature horses there and asked that one be part of the deal. His name was Tinker when they got him, Takacs said. “As fate would have it, I could not have named him more appropriately if I had tried,” she said. Before appearances, she spends a half-hour vacuuming his mane and fur and puts glitter on his hooves, a bell on his backside and a Santa hat on his head. And — of course — Tinker wears the Salvation Army apron. She also made pins with his face on it — a gift for every $5 donation. 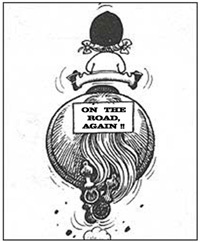 While most people are wooed by Tinker and his decorations, she said some don’t believe he actually holds and rings the bell. “We don’t do that with Velcro or glue. There’s nothing on his bell. He knows that this is his job and he does it very well,” she said. 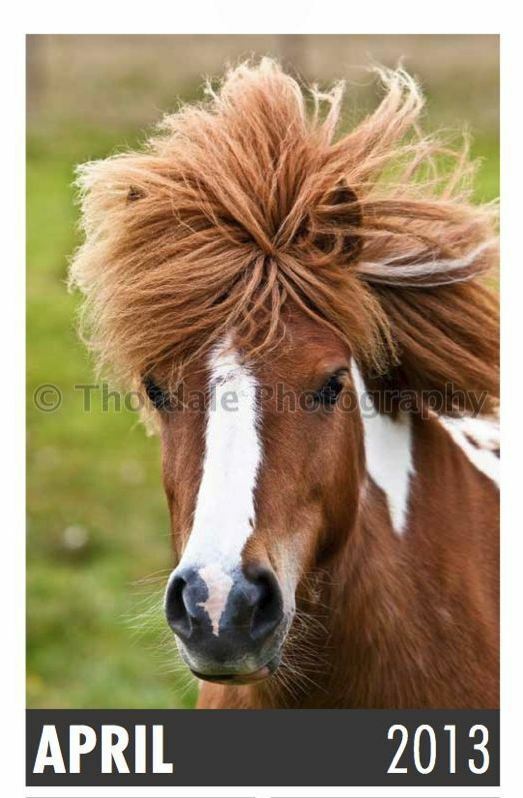 Photos: Would Your Shetland Pony Like A Shetland Calendar? He even walks a nice straight line at the Show. 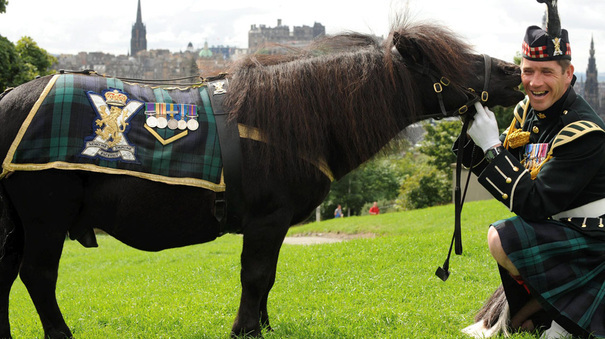 The 23 year old Shetland pony, Cruachan III, has officially retired as mascot for the Royal Regiment of Scotland. For nineteen years he has taken part in Highland games, fairs, the Royal Edinburgh Military Tattoo and numerous Military Parades. 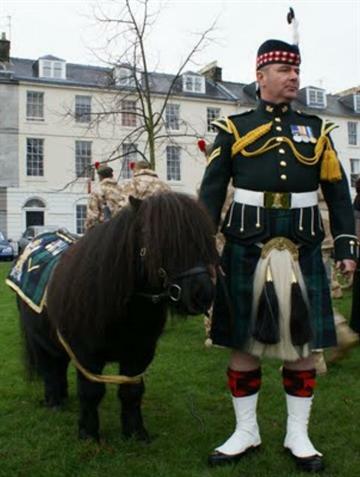 The Argyll and Sutherland Highlanders have had a regimental mascot since 1929, always a Shetland pony called Cruachan. 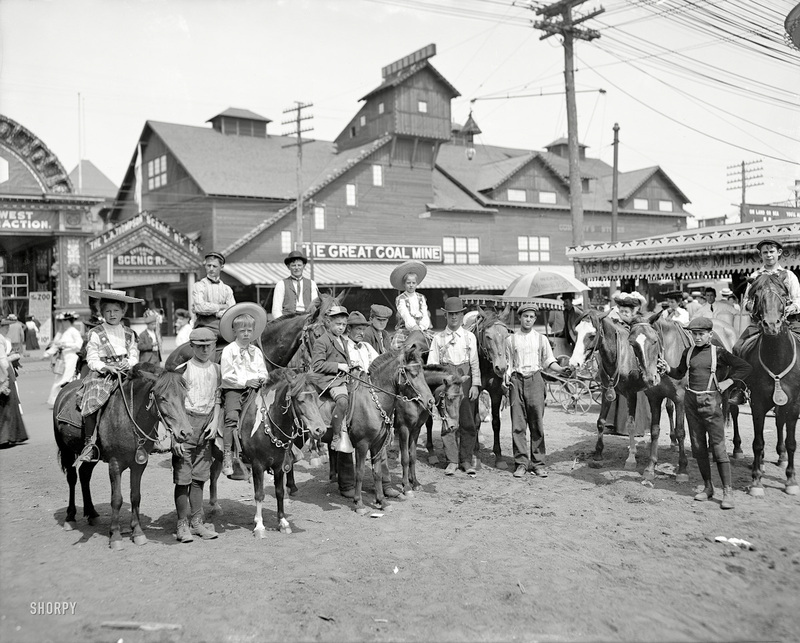 So far there have been three ponies called Cruachan. 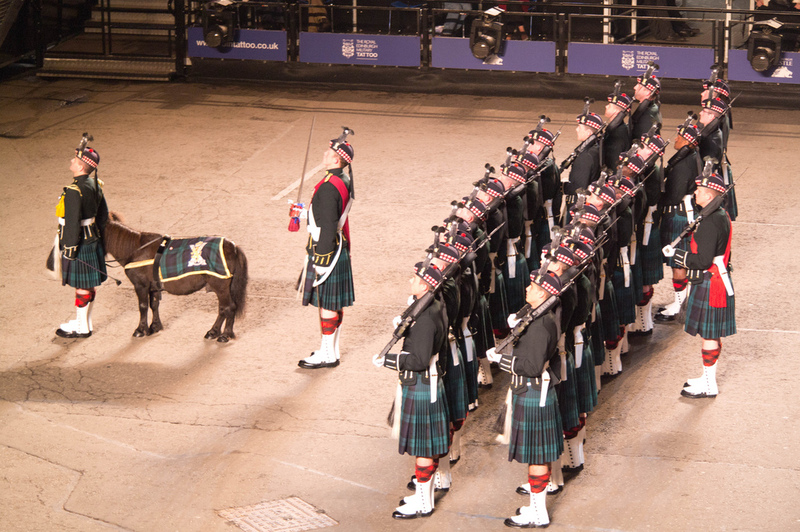 In 2006, the Highlanders were formed into the Royal Regiment of Scotland. 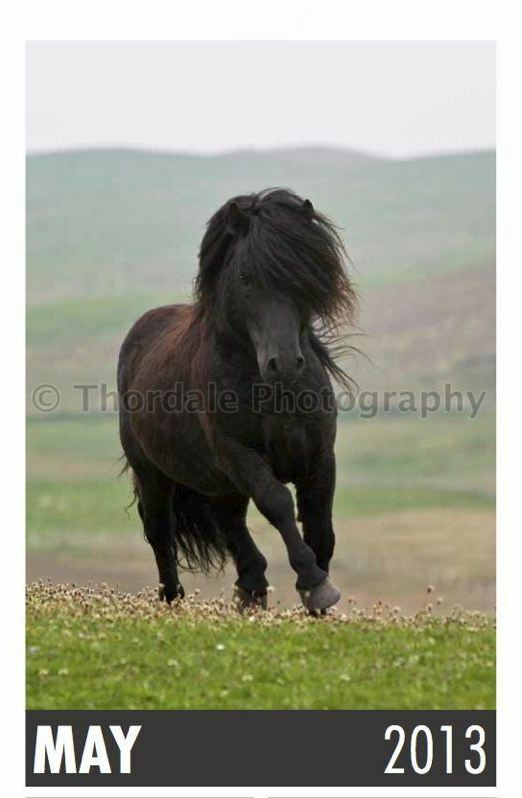 The tradition of a Royal Shetland pony as mascot named Cruachan continued. Regimental mascots not only take part in parades and ceremonial occasions, but often live in suitable accommodation in the barracks with the regiment. 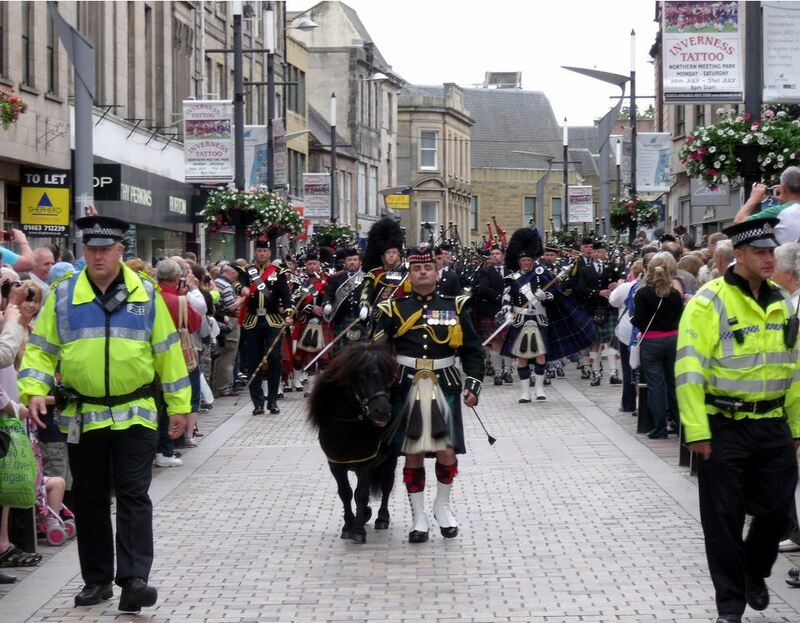 This photo shows Cruachan III and Pony Major Paddy Payne leading the Coming Home Parade of The Black Watch, 3rd Battalion, The Royal Regiment of Scotland, after their tour in Afghanistan. Cruachan III stands barely 3 feet tall and has an unusually calm temperament. 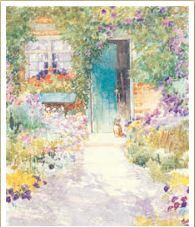 He is a personal favorite of the Queen. 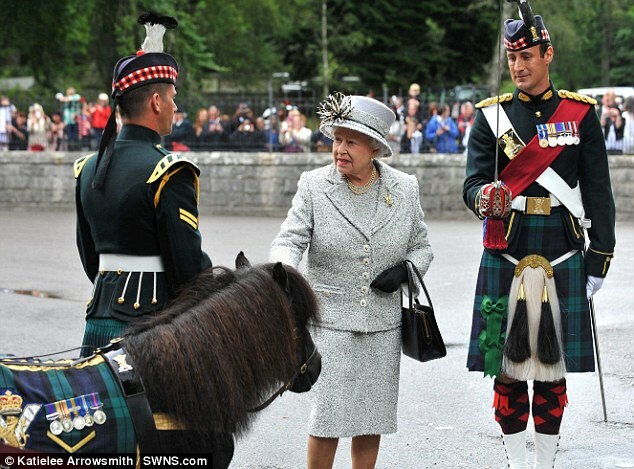 She has always requested that he be present at any parades when she is at Balmoral Castle in Scotland. It was at this year’s Royal Edinburgh Military Tattoo, celebrating the 60 years of the Queen’s reign, that Cruachan III was, again, a star performer. 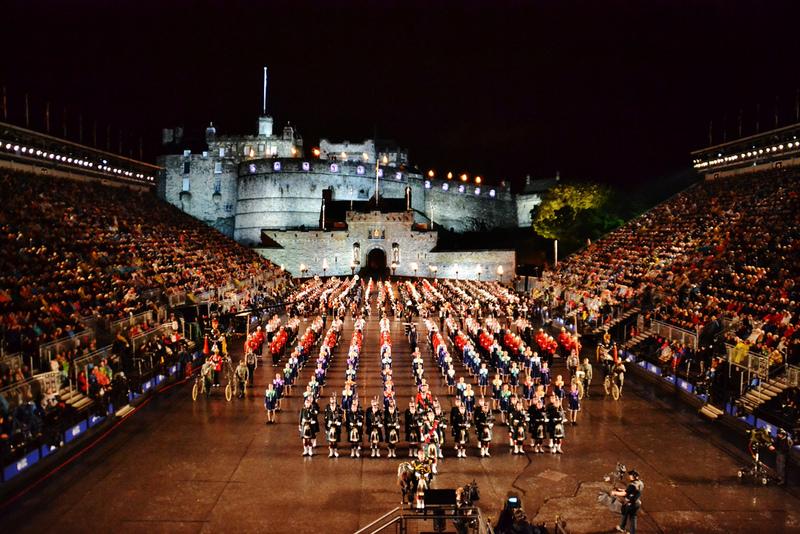 There were more than 1,000 pipers, drummers and other musicians performing on the esplanade of Edinburgh Castle. Military bands from countries around the world including Australia, Switzerland, Norway, Canada and the US performed during the three-week run. 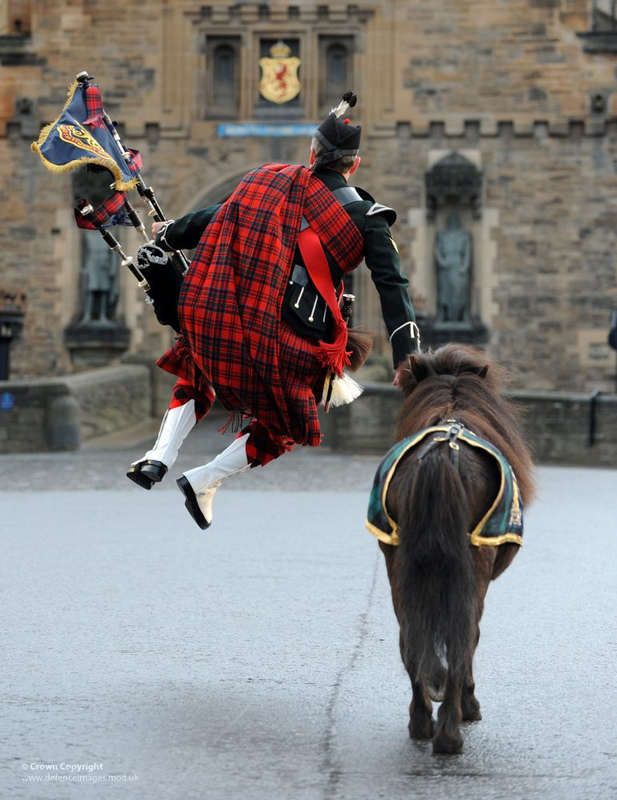 According to Cpl William Perrie, who looks after Cruachan III while on duty, it was the pony who stole the show at the Tattoo for 25 nights in a row. 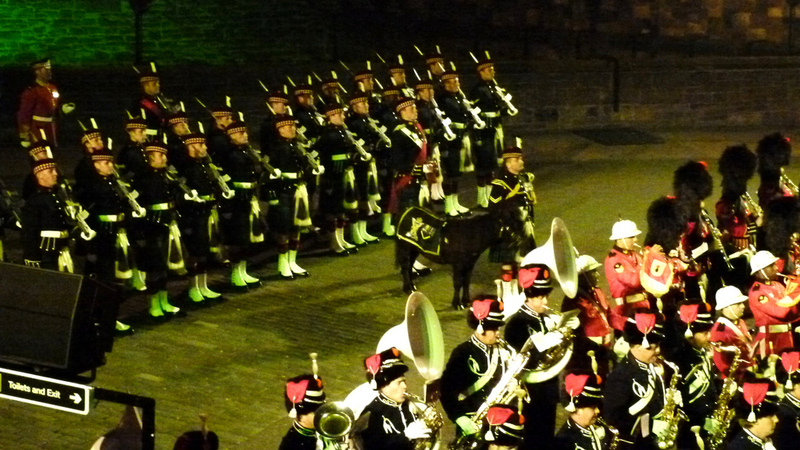 This year’s Royal Edinburgh Military Tattoo marked the last performance of Cruachan III. It was now time for his much deserved retirement. 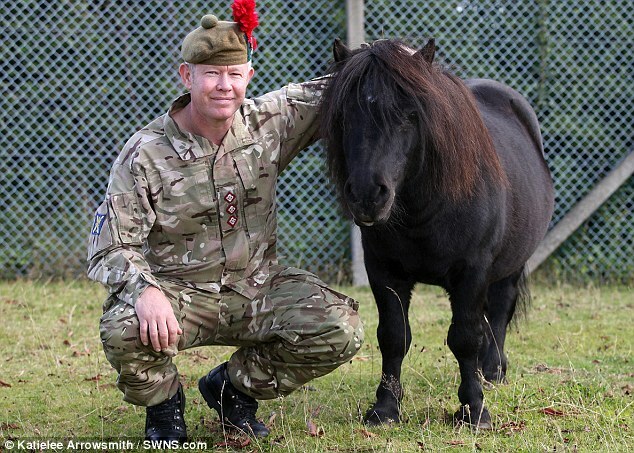 Captain Dougie McDougall is happy to see the 23-year-old Shetland Pony retire from service. 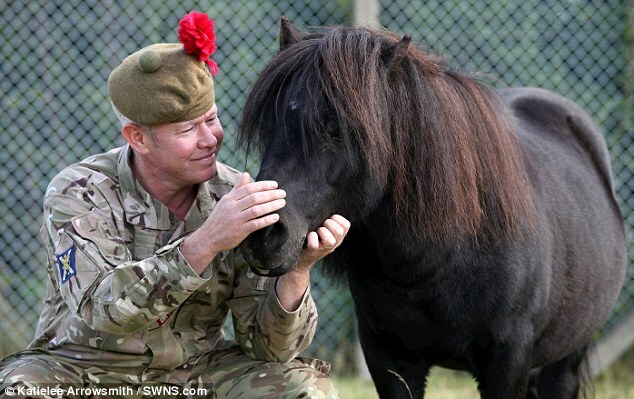 All those at the Redford Barracks at Edinburgh who have cared for the Royal favorite Shetland pony believe that Cruachan III deserves his retirement after nearly two decades of military duty. 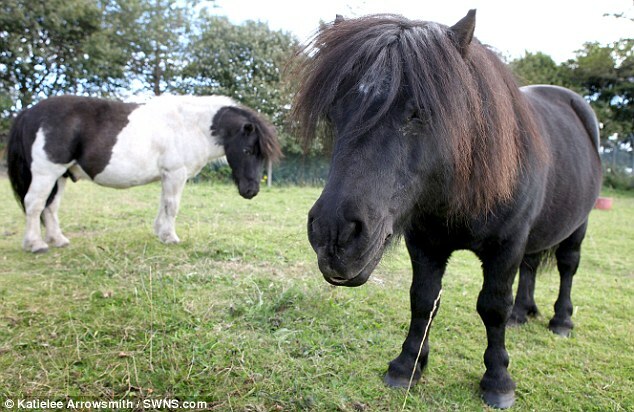 Cruachan III will now be relaxing in his own field with long-term companion Islay, also a Shetland pony. As for the Royal Regiment of Scotland, they are preparing for the arrival of Cruachan IV to begin his career as their next Royal Mascot. 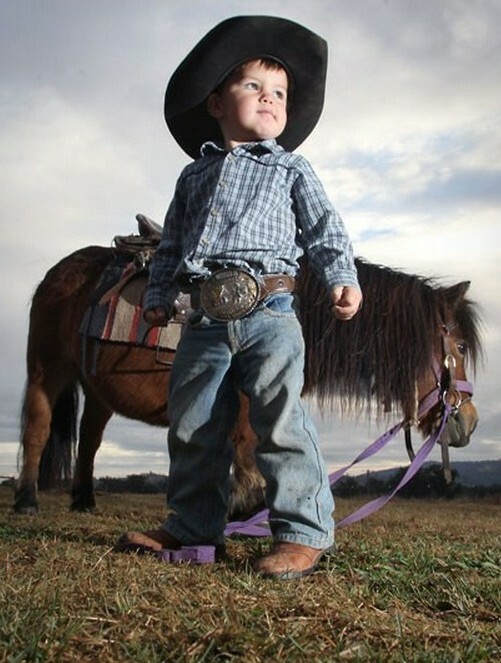 This ‘little big-man’ rodeo rider has caused a big stir in the gritty world of barrel racing. 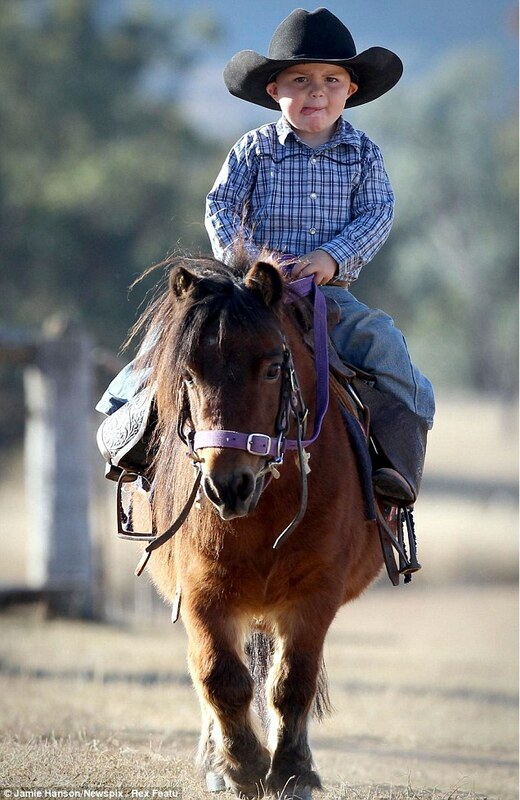 The two 1/2 year old, Royce Gill, from Upper Horton in western New South Wales, Australia should be kicking up tantrums, but instead he is kicking up the dust on his six-year-old pony, Maybelline. 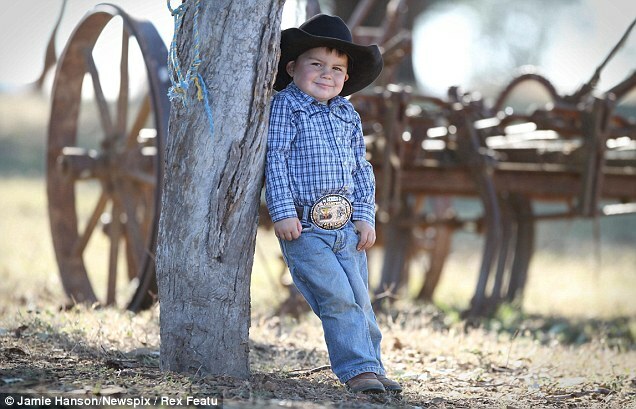 Even though Royce is still wearing diapers, it is no surprise that this young cowboy has taken to the sport of racing barrels at high-speeds. 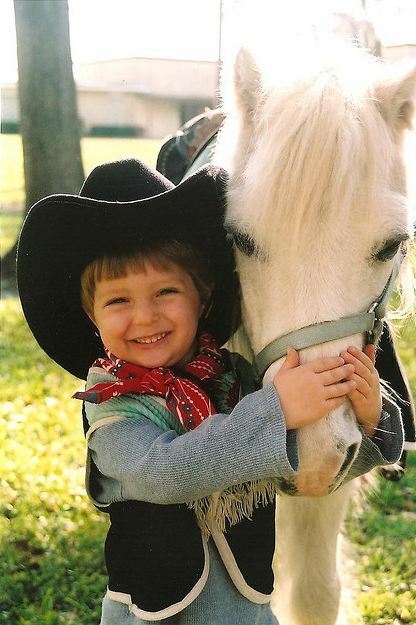 He is the seventh-generation rodeo rider in his family. 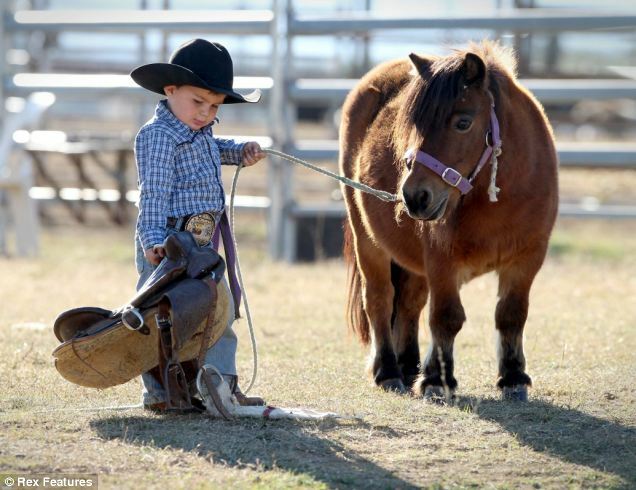 Royce entered his first competition at the Beaudesert Rodeo in the ‘18 year and under’ classification. Even though he did not win any ribbons in his first try, he has plenty of time to catch up with the much older competition. 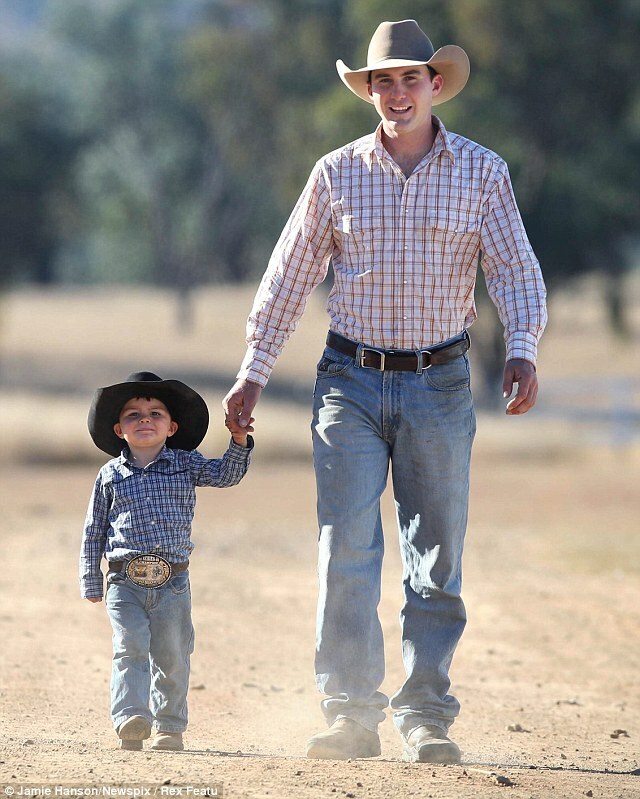 Mr. Gill, who lives in the country on a 3000-acre property, states that he will help his son move on to bigger calves and ponies as he grows up. 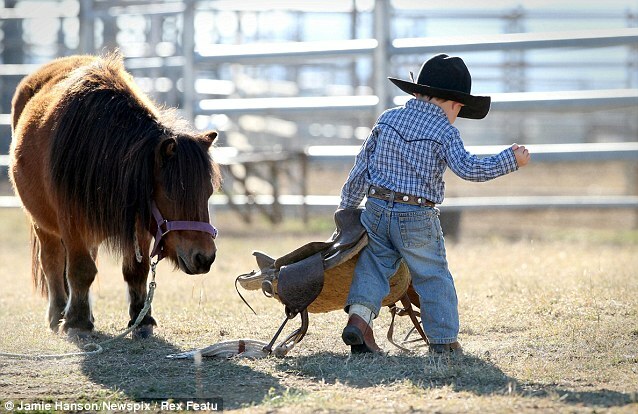 In the meantime, the pint-sized rodeo rider has a busy schedule. Royce will continue to compete in barrel racing against riders more than seven times his age. In Southampton, England there is a pony that is creating a rush of emergency calls from caring people that are driving by her pasture. The message to the fire brigade is always the same: Come quickly, a poor little pony is stuck in the mud. 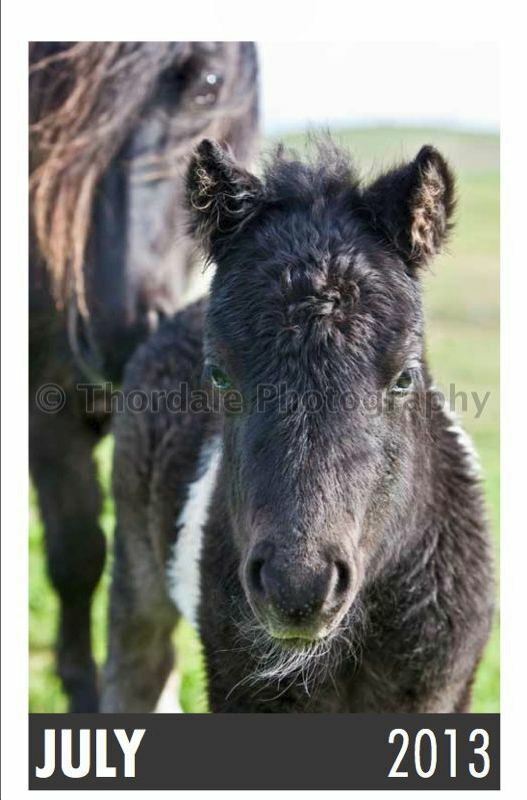 The reason for the emergency calls is not that the pony is sunk in the mire, but that she simply has very short legs. 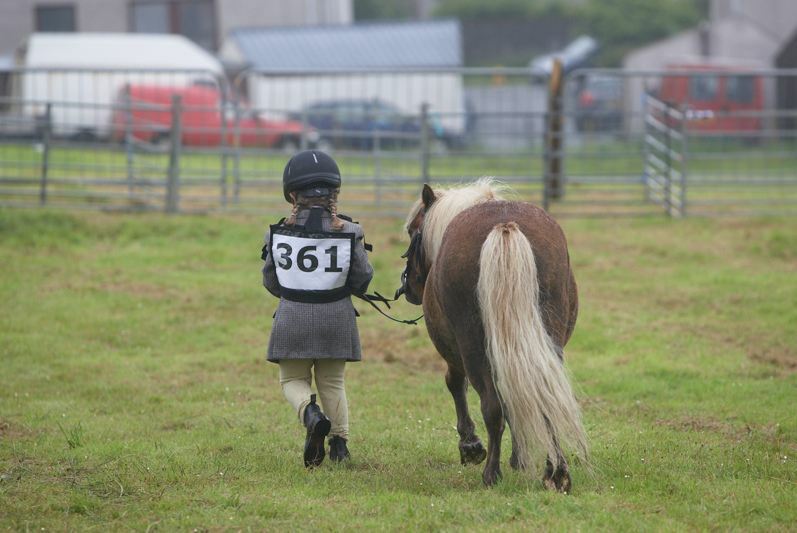 Her owner is considering putting up a sign outside the field to advise motorists that “Mayflower” is a stocky pony, not a stuck pony. The problem with putting up a sign is that one day she might actually get stuck and then the fire brigade won’t turn up, says the owner. 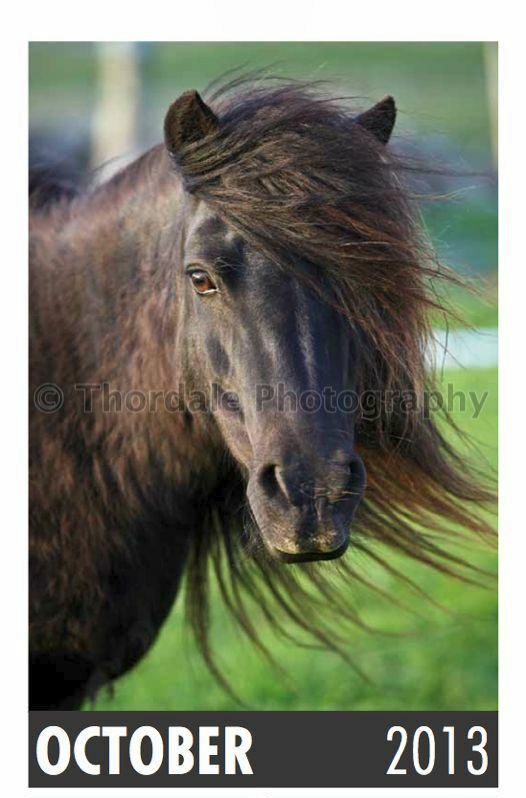 “Mayflower” is a cross between a Shetland pony and a New Forest pony. 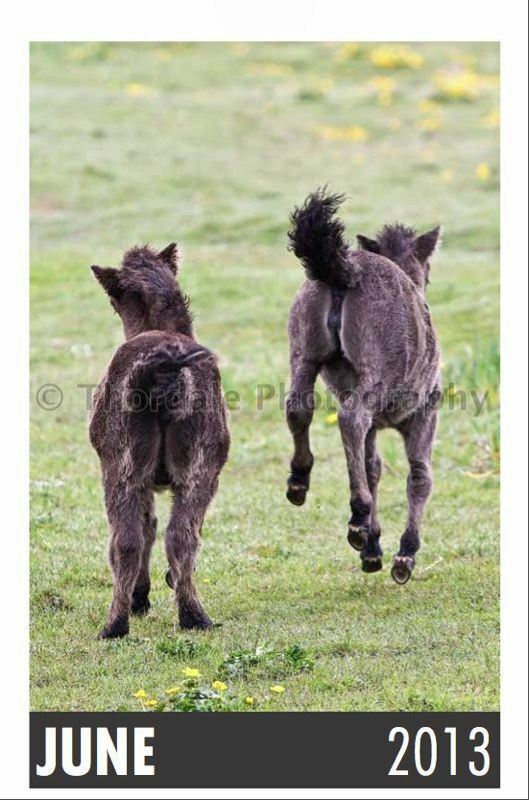 She inherited the Shetland’s short legs and the New Forest pony’s long body. Her unusually short legs compared to the other ponies in the pasture that surround her cause Mayflower to stand out, or rather semi-disappear. Thus the cause for all the excitement. Hampshire Fire and Rescue Service’s animal rescue team have been called out numerous times to rescue the animal since it started grazing on the salt marshes at Redbridge, Southampton. This has included a specialist lifting vehicle, 12 fire fighters, two to three fire trucks plus an animal rescue expert. 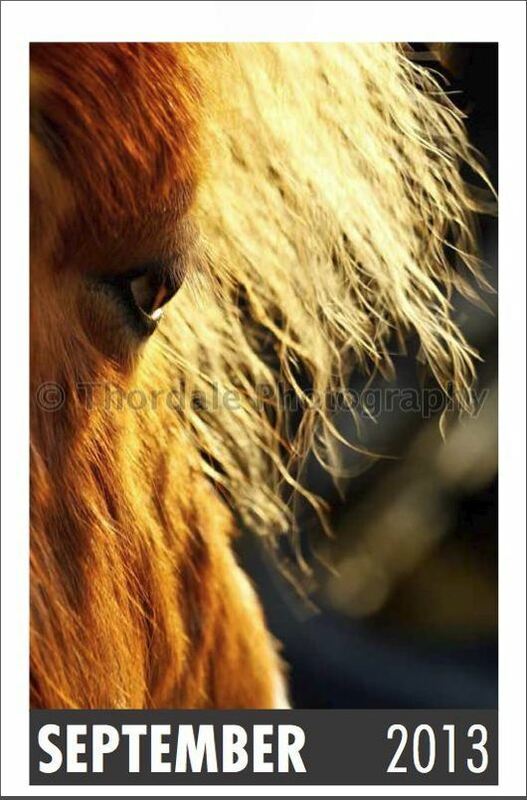 Every time the highly trained firefighters rush to the scene they find the same horse … “Mayflower”. So, what does Mayflower think of all this? She simply trots her little self off to prove that she’s not stuck at all, but quite simply minding her own business doing what ponies do … grazing. 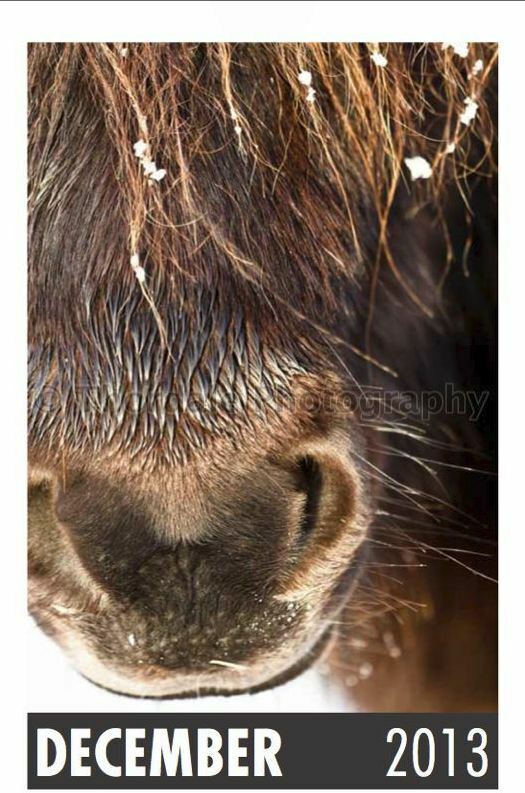 Winter Scene: Happen To Have A Carrot Popsicle?